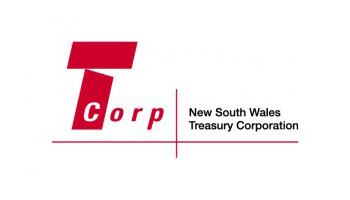 Located in Sydney, New South Wales Treasury Corporation (known as TCorp) is the central borrowing authority for the State of New South Wales in Australia. TCorp is also a manager of clients’ asset and liability portfolios, providing financial risk management and investment management services to the NSW Government and its constituent businesses. TCorp funds its lending through the issuance of bonds in the constantly evolving debt capital markets. Since 1988, TCorp has been an active participant in domestic and international markets. TCorp was spending time extracting information from a number of systems and importing them into spreadsheets manually. After that, users were required to print the information and manually match items line by line between reports to undertake a reconciliation. The main cash reconciliation could itself take up to half a business day each day for one staff member. The information was stored in spreadsheets, something that TCorp’s leadership team believed posed a risk. TCorp initially polled multiple possible vendors and conducted telephone and online meetings to determine fit and applicability. It subsequently invited the remaining shortlist to provide solution demonstrations. TCorp selected ReconArt as the easiest partner to deal with, responsive to client’s needs, and offering a no-nonsense approach. The ReconArt™ 100% web-based deployment model was attractive as it offered a modern technology footprint that made deployment simple. Coupled with the intuitive nature of the software, both for set-up and daily use by non-IT staff, ReconArt™ offered the best value for money. TCorp elected to implement the cloud-based ReconArt.net™ option. This software-as-a-service (SaaS) deployment offered the most cost-effective solution with immediate access to the software by users. Delivery of an overall reduction in operational risk. ReconArt™ has reduced the time in the preparation of reconciliations significantly. It has also cut reliance on spreadsheets, which was a primary goal. As a result of these time savings ReconArt™ has allowed staff to re-focus on other more important tasks. ReconArt™ has delivered significant time savings along with risk reductions. It paid for itself almost immediately. We will now continue to deploy ReconArt™ to other important reconciliations within the business as time progresses. Don’t hesitate to contact us today to learn more about our case studies.